Well Juneau has been quite the trip. 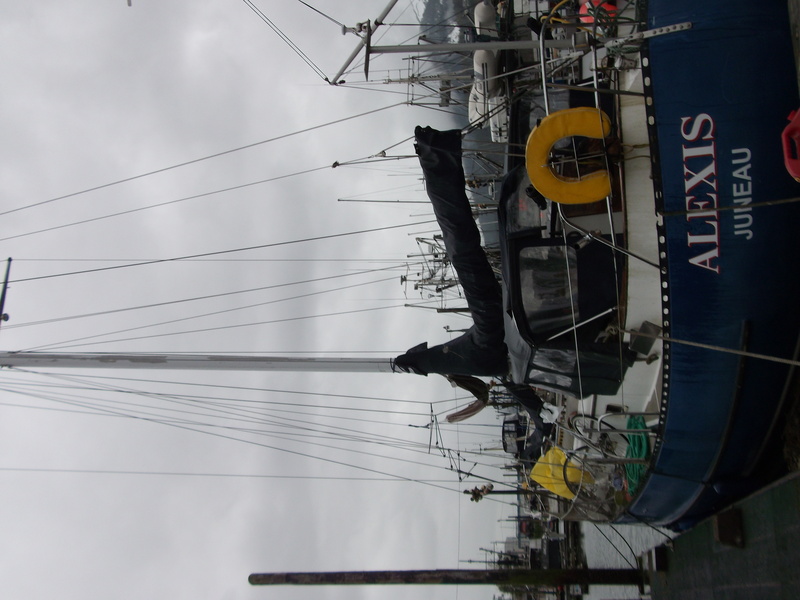 I spent my first night sleeping on a fishing boat and the other three nights on a sailboat. I originally met a fellow named Abraham at the Mountain Market in Haines, Alaska and we started talking about what brought us to where we were. He was about to head out for a month to work on his cousin’s fishing boat. The boat was going to be docked one mile from the ferry terminal in Juneau Friday night and he offered me a place to stay. It was awesome staying with Abraham and his cousin, Frank. I learned a lot about the ins and outs of being a fisherman. I helped out what little I could in the morning to assist them on their course. It was a great experience that made me want to join them. 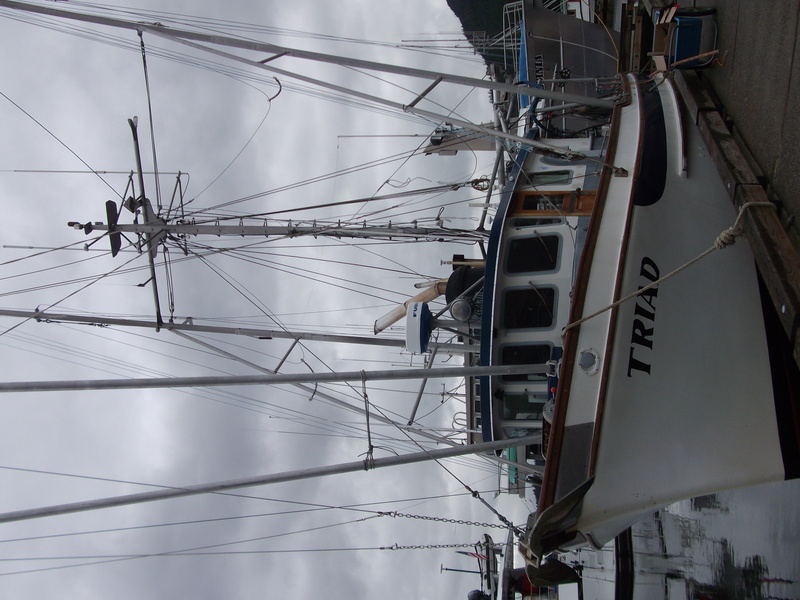 Frank’s boat could hold up to twelve thousand pounds of fish! He had some high tech gear as well. One device would show you a digital image of everything beneath the boat, including fish. I was told it was so detailed you can even see what type of fish. I headed toward Juneau and after becoming soaked to my underwear from riding my bike eight miles in the rain, I hoped on a bus to take me downtown. My host, John, was a nice guy who was also hosting another couchsurfer from Austria. They told me all the hot spots of Juneau and gave me a heads up on what to do. Two nights I had the sailboat to myself, which was really nice of John to offer. On Sunday I hiked all the way up Mt. Roberts trail, about three and a half to four miles. 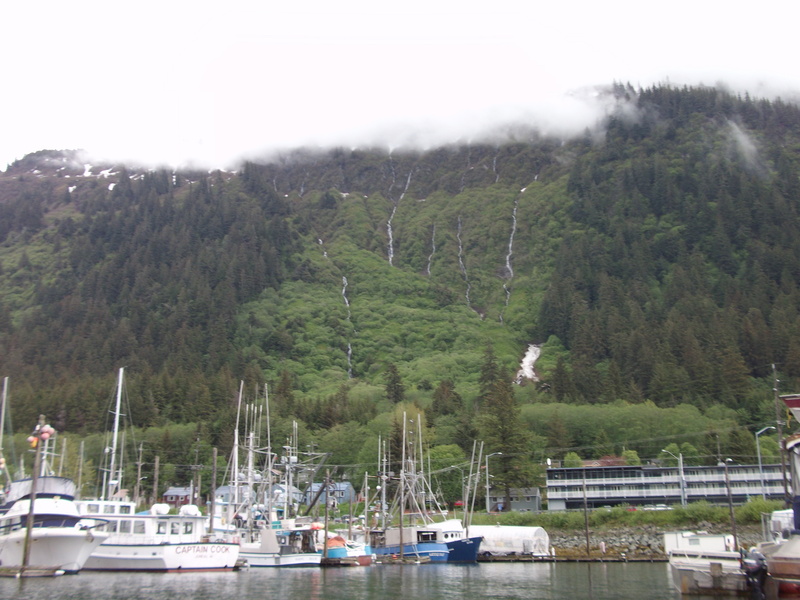 Juneau is in the heart of Tongass National Forest, the largest temperate rainforest in North America. 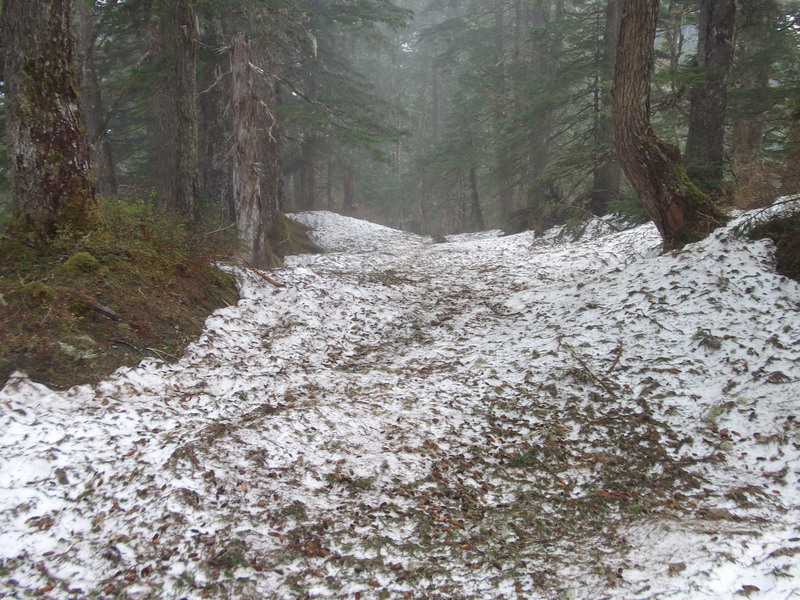 It was a challenge because most the trail was muddy and the top portion still had snow. It was a great accomplishment reaching the top. There was a tram car that would take you up and a restaurant at the top. 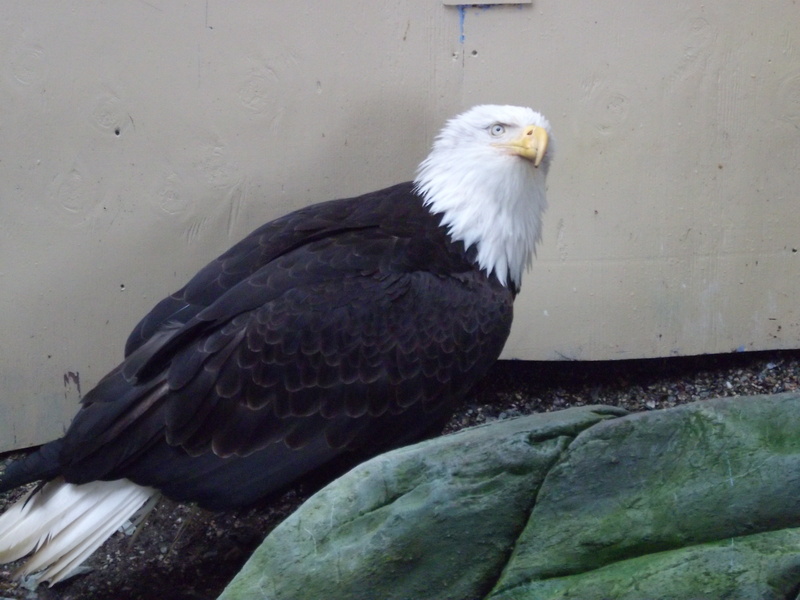 They also had an injured bald eagle that they were taking care of. The eagle had been shot through the beak and had unfortunately become blind in its left eye. John had an inflatable paddle boat that we could use, so I gave it a shot. Fighting the current for about an hour, I barely made it out the harbor. I almost got screwed, but made it back successfully. Monday was another action packed day. I started off climbing Perseverance trail as far as I safely could. I managed to go pretty far, but opted out of possibly getting caught in an avalanche. 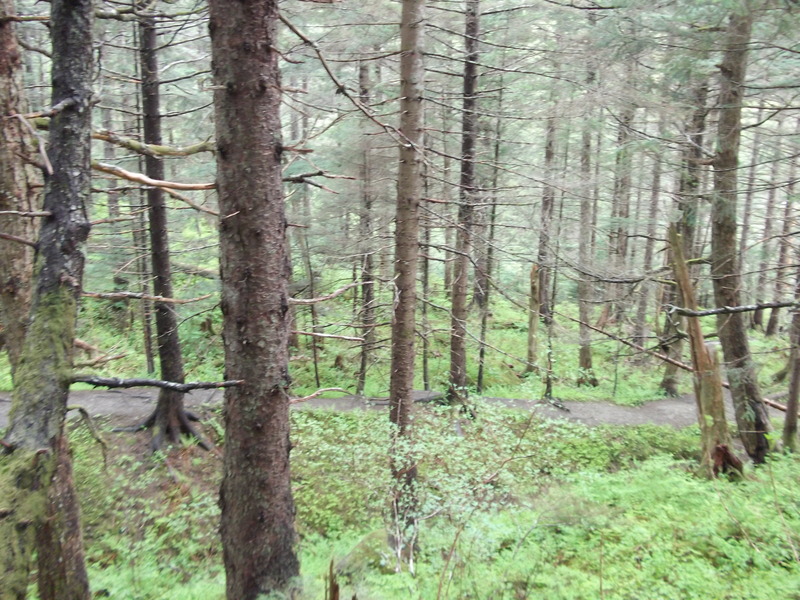 The trail was better maintained and less muddy than Mt. Roberts. Afterwards, I biked to the other side of Gatineau Channel to scope out the town of Douglas. 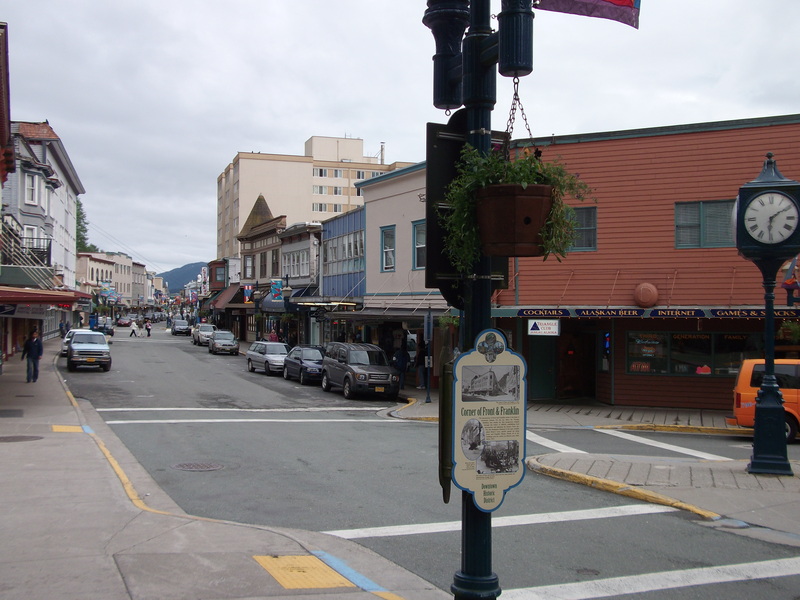 Douglas is a part of Juneau. When I returned, John offered to take me up West Glacier trail at the Mendenhall Valley Glacier. 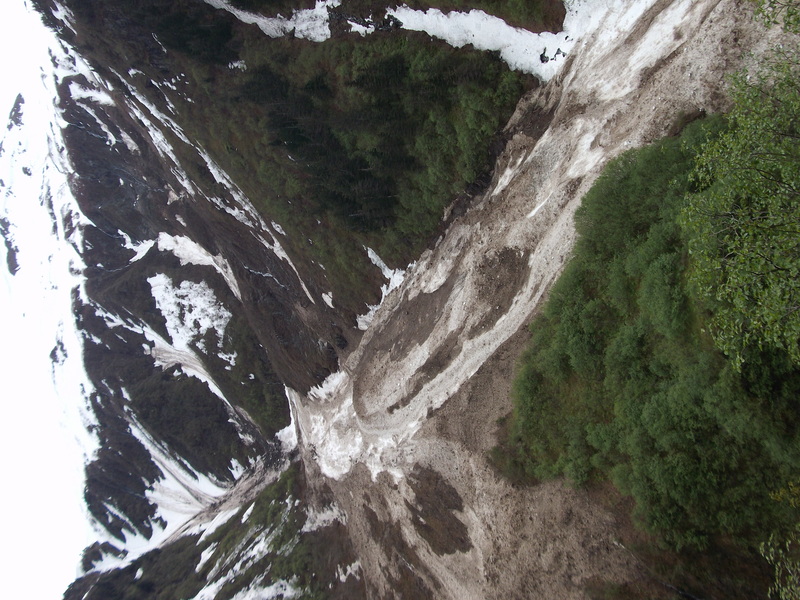 We took the path through the forest and came out at the bottom of the glacier. The site was absolutely breathtaking. 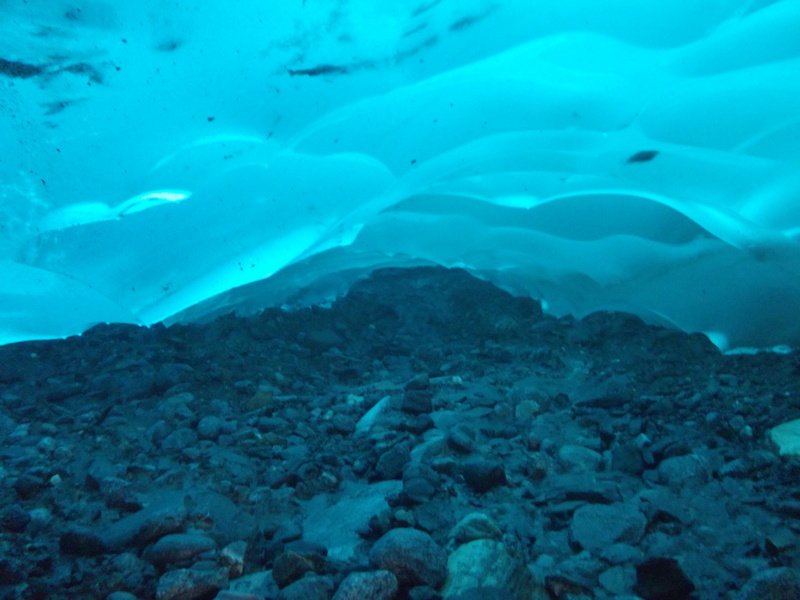 We continued down into the ice cave below the glacier. The color of the ice was astounding and I was blown away by everything surrounding me. It was just so insane thinking that everything thawing around me was from millions of years ago. I was surprised to learn that John had noticed a significant difference in the size of the glacier from when he first visited only two years prior. He also took me to the end of the road. Juneau is only accessible by boat or airplane, hence the end of the road. John is a very intelligent man, providing me with an ample amount of knowledge about Juneau and how the oil industry impacts Alaska as a whole. Juneau was a great spot to stop and best of all; I avoided the hordes of tourists. Now I am going to continue north to Fairbanks. Peace.